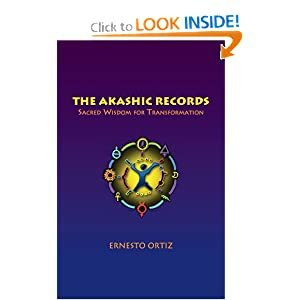 Ernesto Ortiz is a name I’ve often seen referenced in metaphysical writings and so I purchased his book The Akashic Records: Sacred Wisdom for Transformation to gain a better understanding of the intriguing topic. 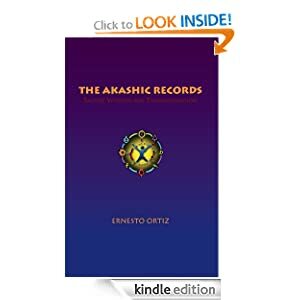 Ortiz has been teaching Levels I, 2 & 3 for Akashic Records Certification across the globe for about twenty five years. This is a text book for the serious metaphysical student. The first half lays down much of the spiritual sensitivities necessary to approach accessibility to the Akashic Records. He covers a lot of territory breaking down spiritual planes (physical, astral, causal, mental, etheric), mediation, chakras, auras and the like. One chapter is devoted to the history of modern day Akashic Records reading about a man named Johnny Prochaska, the founder of the current teaching methods. Prochaska’s story reminded me of the Reiki beginnings with Dr. Mikao Usui. Both men received sacred energy and information to pass onto the world in the 20th century. The second half of the book gets into the nitty-gritty about the mechanics of connecting to the records and how to postulate questions. It involves reaching a certain state of open energy mediation and then repeating a simple prayer. Level 1 is taught in the book, which is strictly for personal connection, not accessing other people’s records. Learning to do this is like any other accomplished skill. It begins with an innate talent, but develops with practice. 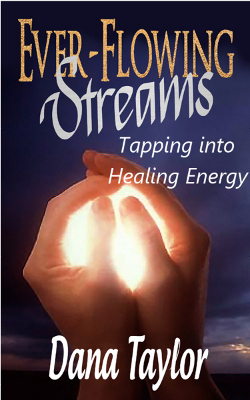 From a personal perspective, I have always been an intuitive person with an attraction toward the healing arts. But, I’m not hugely talented in hearing messages, receiving visions, or transmitting energy. However, I’ve been willing to learn and put in the time to practice. Getting in touch with the Akashic information and guidance feels like part of a natural progression. Tomorrow I will share my first experience connecting to the Akashic Records and the answer I received to that question. If you’re a spiritual adventurer, Akashic Records: Sacred Wisdom for Transformation, is certainly a source of exploration. I purchased a paper copy, but the Kindle version is more than worth the bargain price. I’m almost finished reading THE AKASHIC RECORDS: Sacred Wisdom for Transformation by Ernesto Ortiz. Before I post a review, I thought a little ground work might be in order. Here’s an article I wrote about the fundamental understanding of Akashic Records. Do you have an unexplained phobia? Do dogs terrify you? Maybe you’ve never learned to swim because you hate the water. You may have more serious issues, like addictions or obsessions. Perhaps you have a mysterious medical condition that has confounded doctors for years. As strange as it sounds to most Western thinkers, the origins of these challenges may come from a past life connection. But how would you know? Increasingly, curiosity seekers are making their way to Akashic Records Readers. What are the Akashic Records? Metaphysical writings going back to ancient times refer to a spiritual library of sorts where every incarnated soul has their personal record. The Bible has many references to the Book of Life, which some believe alludes to the Akashic Records. The twentieth century seer, Edgar Cayce, brought the Akashic Records back into the limelight by referring to them as he diagnosed patients to discern the origins of their maladies. Now in this post-New Age, people with psychic abilities are training in metaphysical schools to tap into the Akashic Records and help others solve their personal mysteries. Readers learn to tune into the Akashic Library where there are spiritual librarians, so to speak. They are the keepers and guardians of the records, able to impart knowledge, insight, and guidance. The reader will tune into the Akasha level of spirit, say a prayer, announce the name of the seeker asking information, and request that their record be opened. The seeker begins going down their list of prepared questions. The reader communicates between the seeker and the library guardians. The answer may refer to a past life as a slave being transported from Africa to the Americas. “You were sickly and thrown overboard. Death by drowning left a residue of fear of the sea in your spirit.” Interestingly, often once the source of a problem is revealed, the challenge may lessen or disappear. Akashic Record readings can take many twists and turns. They can be merely amusing or utterly life changing. Whether you are dealing with a seemingly insurmountable challenge, a recurring annoyance, or simply want to see the bigger picture of your life, a trip to the Akashic Records may help you better understand yourself and the people around you. The reason I’ve been posting about Akashic Records Readings is because learning about a past-life tie and the subsequent difficulties that resulted from that connection in my personal life was a major event. It took me over fifty years to put the pieces of my personal puzzle together, as is chronicled in Ever-Flowing Streams. It’s my hope that some people who are also dealing with mysterious phobias or afflictions that are linked to a past life occurence may be able to shorten the learning curve and move on to a better life. My bouts of swollen glands, anxiety, and insomnia have all dissipated since my initial Reiki treatment in 2005. It took about three years to unravel the layers of connections, but my health and well-being are vastly improved over my previous four decades of life, largely due to understanding my soul’s long journey. 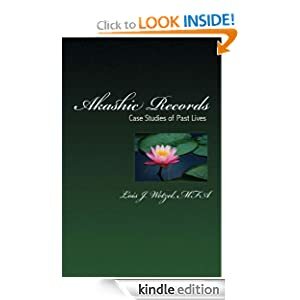 I recently came across a book by therapist Lois Wetzel entitled Akashic Records: Case Studies of Past Lives. I highly recommend investing $2.99 to read this fascinating compilation of case studies. Wetzel does an excellent job of explaining Akashic Records and the value they hold in helping people heal, break negative patterns, and understand puzzling relationships. Some of the stories are hard to grasp because they feel like a tale of science fiction. But, certainly modern living would seem completely unbelievable to people living only a few decades ago. Written in a straightforward manner, the book gives example after example of past lives and how they affect modern people. Wetzel’s method of downloading particular lives as revealed by the Records Guardians is very interesting and somewhat different from the method I have experienced. Whereas the Record Readers I have visited have answered specific questions, Wetzel’s clients come in with an overall area they want information about. She then opens her mind up to viewing their past lives as if she is watching a movie. I found myself looking at life with a broader perspective and a new understanding of karmic ties and cycles. If you have an interest in past life therapy, read Akashic Records: Case Studies of Past Lives by Lois Wetzel. 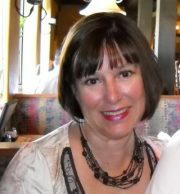 You can find Lois Wetzel on the web at www.hotpinklotus.com.